At Maharishi Vidya Mandir, Bhopal teachers are well-qualified, trained, experienced and motivated teaching staff is the key to quality education. The capacity of our encouraging staff empowers each youngster to procure scholarly aptitudes and build up a systematic way to deal with critical thinking. We keep the less number of understudies in each class to guarantee singular consideration and close supervision. The connection among educators and understudies does not end with the class. Other than consistent guardians and instructors gatherings, the educators stay in contact with the guardians and make a superior comprehension among all. It gives another profundity to the instructor understudy parent relationship. 17 Miss. Savita Thombre TGT B.SC. B.Ed DCS. 34 Miss. Ran. V. Choubey LIBRARIAN M.A. (SOCIALOGY) M.Lib. Inf. Sc. 35 Miss. 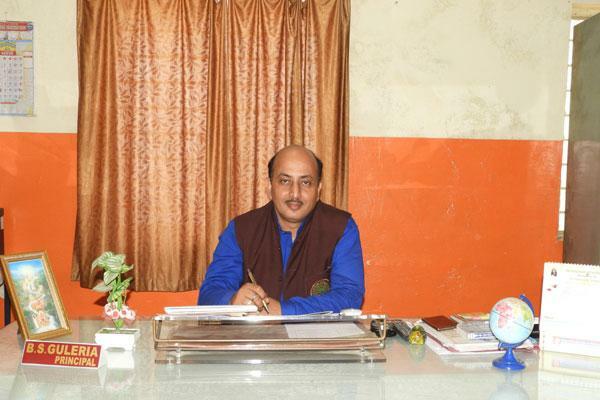 Prabha Bansal LIBRARIAN M.A. B.Lib.S.C. Details of salary being paid by the school to teaching staff/non teaching staff (to be updated time to time) as per CBSE norms, VIth pay commission. Salary is drawn through Bank of HDFC by single cheque transfer for the permanent staff and individual cheque for the part time staff.